After January and April, here's the third round of "Ultimate Blog Challenge" this year. 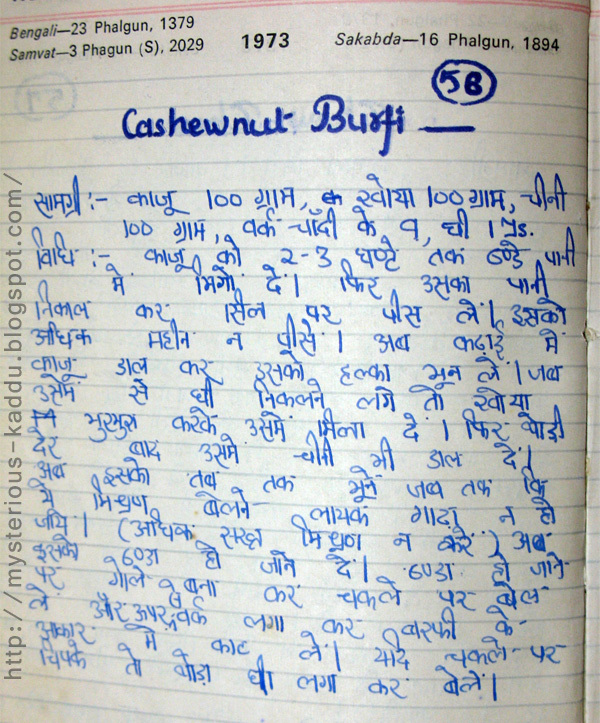 Once again some more reflections and some reminiscences. If you're interested in joining in the madness this month, please register yourself as a participant on this website. "2013 Jul UBC: Summer Drive"
I will keep updating this page, with links to the posts in this series, as I complete them. Day 3: Why Do I Write? Day 11: I've Got Mail! Day 13: Be Free. Be You. Day 18: Memorabilia-XIV: Why Do You Like Me? Day 25: What's My Blogging Personality? Anyway, I'm going back to normal blog writing from tomorrow. 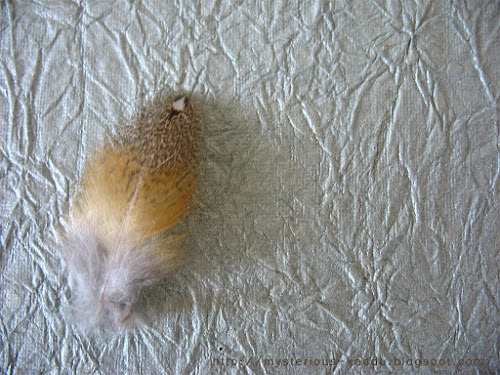 Yes, there will be another round of daily blogging in July, but, it will be a sort of 'free-style' round... of writing. (No more photography! :P) There's no pre-defined list of daily prompts in this challenge. Personally, I find such direction-less daily-blogging challenges more difficult to complete, as having a fixed theme/set of topics helps me remain focused, and I don't run out of ideas to write about. Let's see though. I'm a bit tired, after doing 3 consecutive months of daily blogging. So maybe I'll quit somewhere along the way. Joining up nevertheless. Wish me luck! This is my 30th (last) post for 2013 June Photo A Day Challenge. Link to the previous post: "Photo A Day - In My Bag"
Today is the last day of Google Reader. 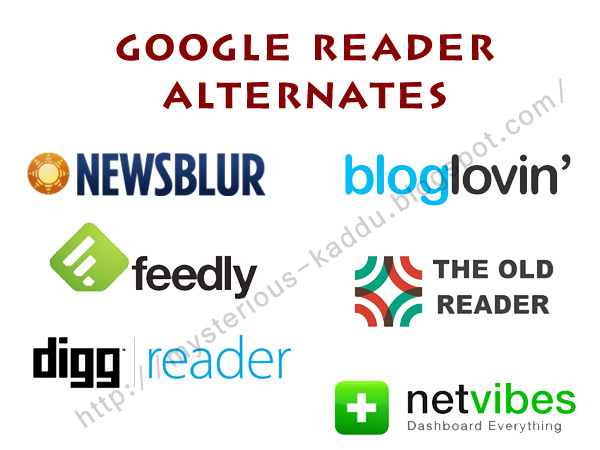 I have tried several alternative feed readers in the last month, free ones obviously, and I liked some more than others. Sharing my experiences and feedback about them here. 1. NewsBlur - It offers direct import from Google Reader, which is cool. It imports all the folders, but the "starred items" fetched were restricted to only last 10 items. The older starred items are lost. Also, its free version allows a maximum of only 64 subscriptions. If you want more, you have to pay $24 per year. Subscriptions aren't updated on a real-time basis either, in the free version. For some feeds, it says it will be updated once in every 90 hours, for some others, it's 2.5 hours. The interface looks a bit complicated and cluttered. Probably requires a little "getting used to", as it is so different from Google Reader, but otherwise, it is good. Seems like it's built for more advance users though. It even shows up the tags of your blog posts. And you can have a "public profile" there too. I couldn't find a "keep unread" option though. It does have sections for site statistics and site settings, where we can find the direct feed URL, if needed. 2. The Old Reader - Very much like Google Reader. Simple and un-cluttered interface, though there is no option for direct import from Google Reader. You have to go to Google Takeout, and export an archive of your Google Reader data. It gives you a .zip file, which will have a "subscriptions.xml" file. Using that xml file, you'll be able to import all your subscriptions into The Old Reader. Fairly easy procedure. The only bug is that it imports your folders but not your starred items. And it will fetch only a maximum of 10 items from each feed. You have a "mark all as read" option, as well as a "keep unread" option. It also shows the feed URL, in case you need it. It is pretty okay if you don't care about older posts and don't have any starred items. 3. NetVibes - It is not just a feed reader, but a complete dashboard, like My Yahoo and iGoogle! And boy, is it complicated! After much hair-pulling, I discovered this small toggle button right on the top, that allowed me to alternate between the dashboard and the reader, only to find out that the reader already had me subscribed to several combined feeds, with 1000+ "unread" items, from sources I have never subscribed to! 4. Feedly - About a month ago, it was proclaimed to be the best alternative for Google Reader. After trying the first three alternatives mentioned above, feedly seemed really user-friendly. It imported all my feeds, folders, and starred items. It went one step ahead of Google Reader, in that it gave so many other options for viewing, apart from the standard List and Expanded views. Managing folders was classy in feedly. There was a cool "Edit" button just next to the feed title, and from there I could see the feed URL of the blog, unsubscribe by single-click, or switch folders for that feed. In short, I loved it, except for one stupid irritant. Instead of showing the actual date of posting, it gives "xxxx d ago"! (1734 d ago would be like 5 years ago? Should I keep calculating it for every post?) Anyway, their cloud migration thing happened earlier this month. After that, things became a bit messy. The feed URLs have disappeared from the "Edit feed" option. The "keep unread" button doesn't save the item as unread. Rest of the things are still good. I prefer to have a static sidebar though, instead of a slide-out one. Still, I will recommend it as a good free alternate to Google Reader. 5. Bloglovin' - Technically, this is not a "feed reader", it's just a blog reader. I would say, it is very much similar to the "Blogs I'm Following" option, in the bottom half of our Blogger Dashboards. It has the same magazine style layout, and is quite neat and orderly. Just like "Blogs I'm Following", you can choose to make your subscriptions public or private. And just like "Blogs I'm Following", even blogs with full feeds setting show up in their summary feed format. It lets you "mark as read" or "mark group as read". But, because this is not a feed reader, it will not pull up your non-blog RSS feed subscriptions. For example, if you're subscribed to the direct feed of Blogadda's Book Reviews program, it won't show up in Bloglovin'. And RSS subscriptions from Facebook or Twitter won't show up either. It lets you import directly from Google Reader though (no need for an xml file), retains your folders, but your starred items are not transferred. The interface is completely different from Google Reader, so that didn't work well with me. 6. Digg Reader - I can't believe that I chanced on this one only today! It allows direct one-button import from Google Reader. And it fetches all your feeds, folders, as well as starred items! The interface is really simple and neat, pretty much like Google Reader. You have either the List View or the Expanded View. No fancy hocus-pocus! You have sharing options for twitter and facebook. In place of the single-click "Star" option in Google Reader, here you have a single-click "Save" option. Adding a new feed is same as in Google Reader, and its 'edit feed' option shows you the feed URL, if you need it. The Digg Reader team says that they are working on these 3 options at top priority. So I guess I will use feedly till then, and will then switch completely to Digg Reader. I will highly recommend it to all those Google Reader fans who liked it for its simplicity. I was in a rush, so haven't been able to list out all the above information in a neat "PROS-and-CONS" manner. Also, I was a very basic user of Google Reader. I never used features like tags or combining feeds etc. So I will not be able to provide any feedback on those things. One feature of Google Reader that I did find useful was the "View details and statistics" option under "Feed Settings". None of the alternatives above have that feature, except NewsBlur. Anyway, Google Reader won't be available from tomorrow. So, I would advise all my readers to at least get their backup xml file from Google Takeout, as outlined in point 2 above. And you can definitely import your stuff into as many feed readers as possible. Most of them are still working on rolling-out features and fixing bugs. But, over the next month or two, we should have a clear winner. For the time being, my vote goes to Feedly and Digg Reader. A stylish shopping bag (that I never actually use, because it's design is not very convenient) with a couple of recently purchased dress materials shoved in. This is my 29th post for 2013 June Photo A Day Challenge. Link to the previous post: "Photo A Day - Red"
This is my 28th post for 2013 June Photo A Day Challenge. 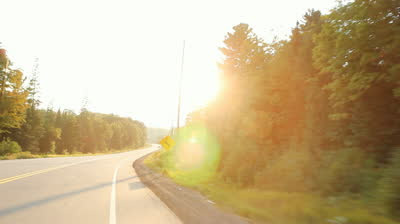 Link to the previous post: "Photo A Day - Into The Sun"
Another one from my sister's photo albums saved in my hard-drive. 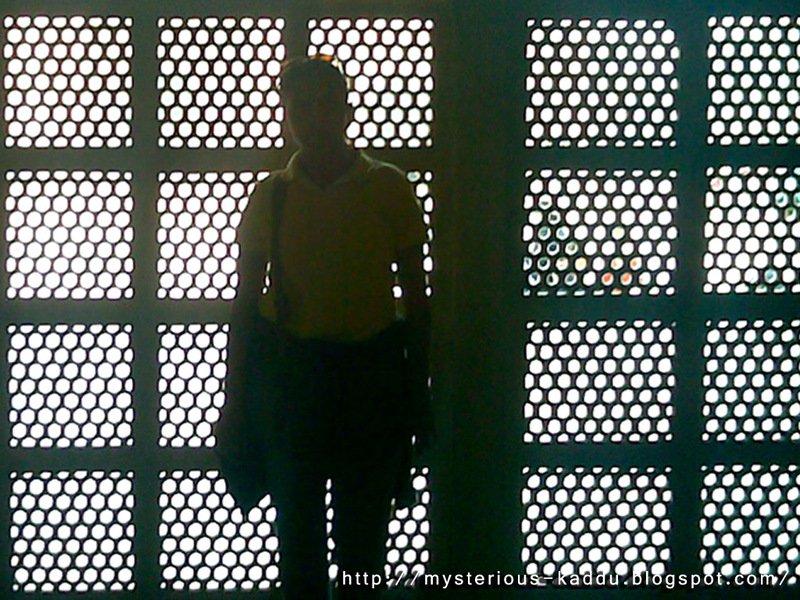 That's her, inside the Taj Mahal at Agra, standing against that wall filtering the sunlight in such a beautiful way. My brother-in-law took this pic. The time-stamp on the photo says "November 19, 2007 12:06 pm". So it was taken at peak noon. Sure looks bright and sunny on the other side of the wall, doesn't it? This is my 27th post for 2013 June Photo A Day Challenge. 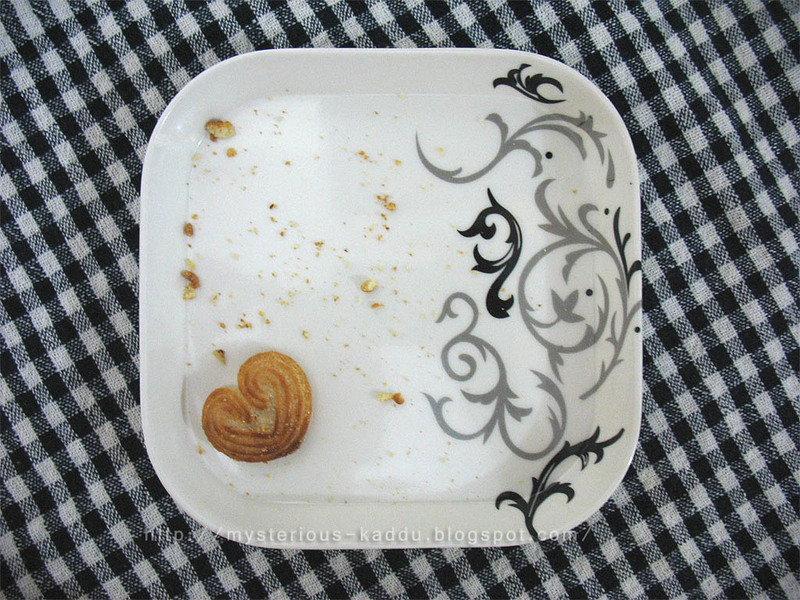 Link to the previous post: "Photo A Day - Empty"
This is my 26th post for 2013 June Photo A Day Challenge. 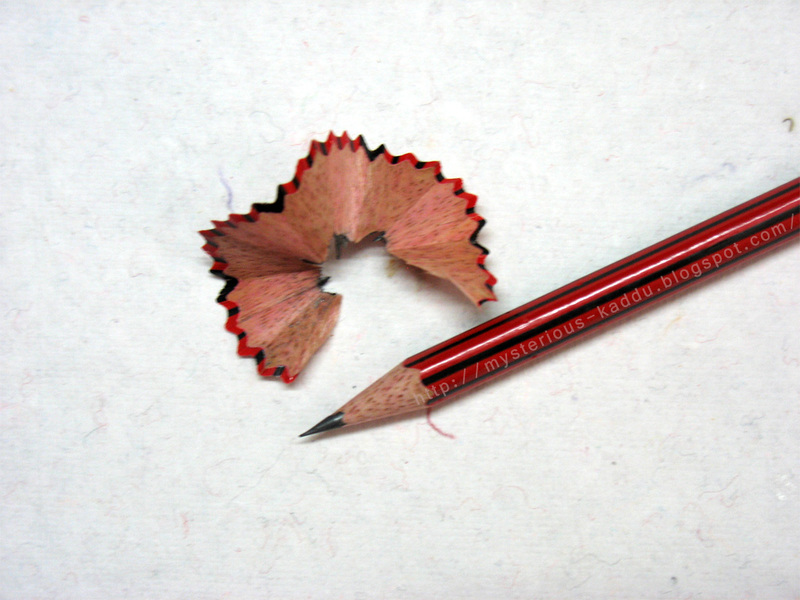 Link to the previous post: "Photo A Day - Sharp"
A sharp pencil! Hehehe! Silly, right? But these pencils are good. They don't break as easily as some of the other pencils I've used in my life. 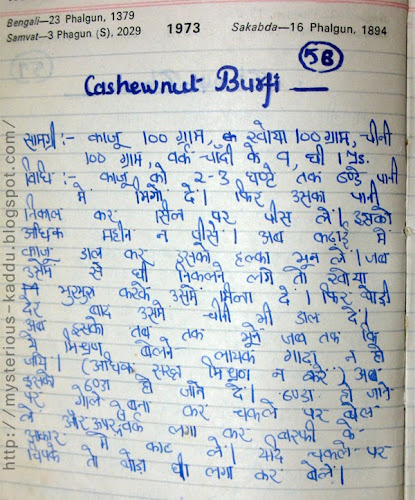 This red-and-black Natraj one, and also the pink-flowers-on-white from Camlin (I think)... these two were the most reliable pencils back in school days. And then of course there are color pencils... sharpened to the precise point! Though I personally prefer coloring with slightly blunt-tipped color pencils usually. 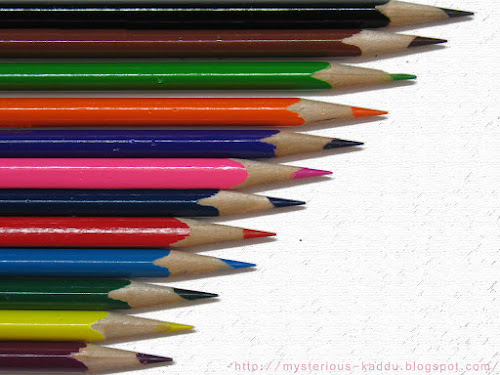 Sharpened all these just to take a photograph for today! I certainly DO like to save up all those pencil shavings though (you can see one in the first pic) and then use them later to make something like this! This is my 25th post for 2013 June Photo A Day Challenge. Link to the previous post: "Photo A Day - Negative Space"
Negative space is a type of photography in which you leave a lot of blank space in the photograph to show off the main subject. I did not know about it until I took up this June Photo A Day Challenge. Those interested in knowing more about it can check out this page. It has some good examples. 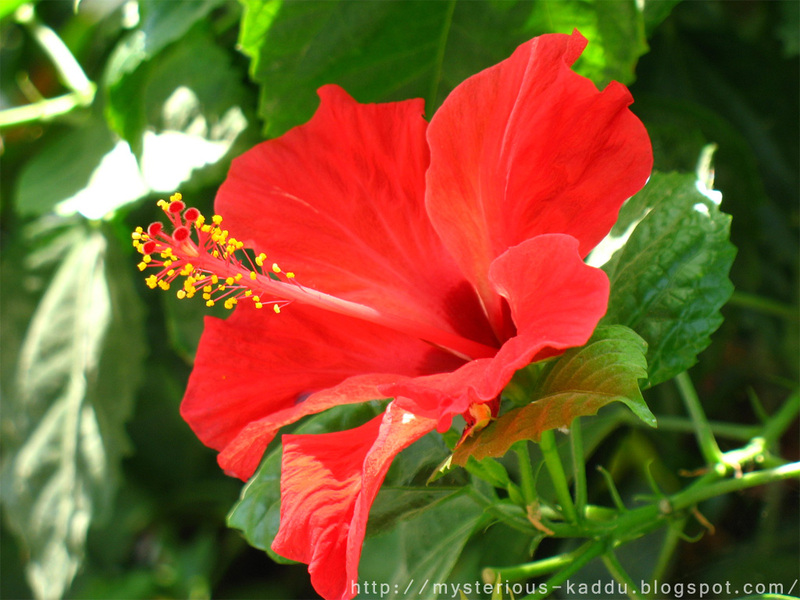 For today, I took a photograph of this hibiscus flower growing in my building. The wall behind the flower was a bit cracked, with the paint falling off at places. Inspired by some of the other photographs being shared on the FMS group on Facebook, I decided to experiment a little with Photoshop. 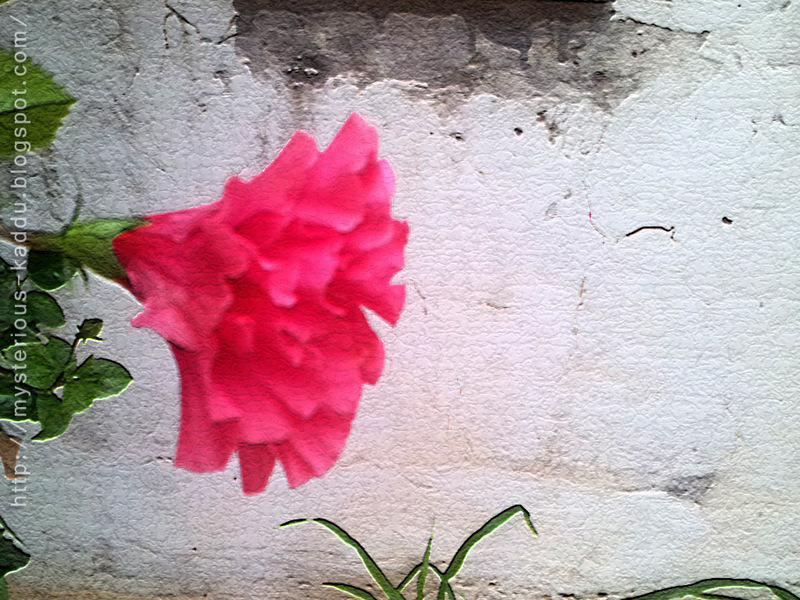 Eventually, I just settled on increasing the cracked look of the wall, with the Craquelure filter in Photoshop. This is my 24th post for 2013 June Photo A Day Challenge. Link to the previous post: "Photo A Day - Last"
This is my 23rd post for 2013 June Photo A Day Challenge. Link to the previous post: "Photo A Day - Enjoying Life"
Another one from my sister's Goa collection, saved in my computer. This is my 22nd post for 2013 June Photo A Day Challenge. Link to the previous post: "Photo A Day - Lunchtime"
Finally some recognition for the awesome entertainment I've been providing to the blogging community, day after day, month after month, for 6.5 years! Remember that Blogadda "Write over Weekend" post I did last month? On how I met my current best friend? 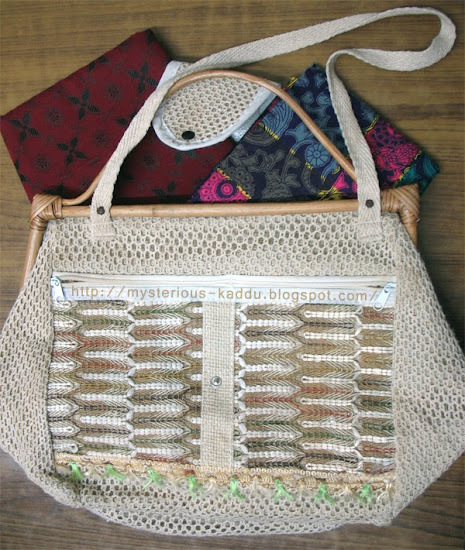 It got selected among the best "WOW" entries that week! And to think that it was an absolutely last-minute entry! Literally! Check the time stamp on that post - 11:59 pm! Yes, yes... I know... I need to add a display pic there. It's on my to-do list. I'm sure that some day very soon, the stars and planets will be in that perfect alignment, and a display pic will be added back to my IndiBlogger profile! 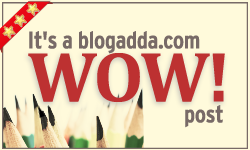 Thank you, Blogadda and IndiBlogger, for finally recognizing my great worth in the Indian blogosphere! And thank YOU, my readers, for motivating me to keep writing! Please DO check out my complete "trumpet-blowing" act here! India is great! But Indians are greater than God! Or at least that's how they seem to behave... and believe! Yes, this is going to be a rant post. Yes, I'm in a bad mood. And no, please don't show me "the other side of the coin"... not today... not on this post. 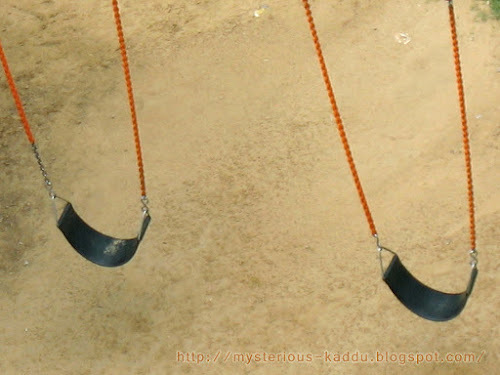 If you'd like to join me in this "Indian bashing spree", you are MOST welcome! But just remember... keep it witty, keep it sarcastic, keep it humorous. Or you can totally skip this post too... the choice is yours. I'm not even going to start on how we are breeding like rats and spreading like a plague all over the world. And I'm not going to go on and on about our lack of civic sense, hygiene, responsibility towards public property, our rivers and environment. I won't talk about corruption, or the way we treat our women, or our spineless "men" who never really grow up, or our "plagiarists", or some other things I've recently experienced about our "great country" that I've promised myself will never despoil this space! Today, I will just talk about the remarkable lack of respect, for other people's personal space, that we Indians have! People are working in different shift timings these days, the family structures have changed, joint families have dissolved into nuclear units, females are often managing both domestic as well as their professional responsibilities, and yet some of the "high-and-mighty" among us think they're above calling up and checking if it's a convenient time for them to visit us! 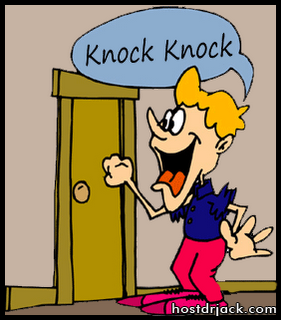 At 8 in the morning, this elderly gentleman in our building, who has been acquainted with us for like less than half an hour, comes knocking at our door, without any prior appointment, to... you won't believe this!... download something off the internet from my PC and take some printouts from my printer! Just because Dad and I showed some respect to him due to his age, and talked politely on our one brief meeting, he automatically assumes that our doors are open for him round the clock now... for any damn thing? After just one short meeting? And just because I conduct some computer classes and know stuff about computers, that makes me a 24 by 7 cyber cafe? A free one at that? How the hell did he come to the conclusion anyway that my computer, printer and internet were even available for public use? I have nothing against helping people with whatever skills I have. But I just can't tolerate this encroachment upon someone's personal space, this complete lack of disregard for the other person's schedule. Not everybody wakes up with the crow of the rooster, you know! And not everybody likes to be seen in their nightwear by people whom they've met for only a few minutes! I mean really, he could have easily picked up the intercom, called up my flat (for free! ), explained his "emergency" (if there really was one) and asked me, like a proper gentleman, if I could help him out with this matter at that time. But no, he couldn't show that little courtesy, for he's a "greater-than-God Indian"! Yeah well, even I can play the "greater-than-God Indian" routine in my home! This was taken at a simple family restaurant not too far from my place. The decor is very average, but the food is good and reasonably priced. And the service is beyond good! 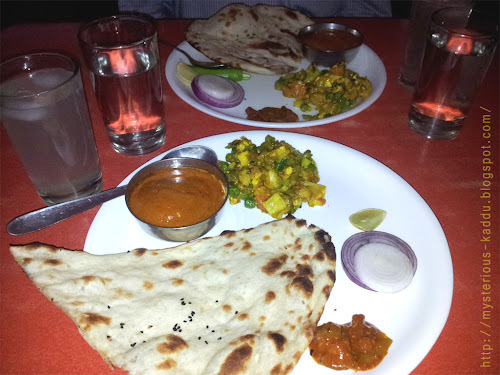 The guy taking our order advised us, on his own initiative, that we should order only half plates of the dishes we wanted, as there were just the two of us. The half plate option was not mentioned on their menu card, and if he hadn't suggested it, we would have just assumed we had no choice, and paid extra money for food we could've never finished in one meal! P.S. - This is one of the best low-light photos I've got from my cellphone camera so far. They usually turn out so grainy in inadequate lighting. This is my 21st post for 2013 June Photo A Day Challenge. Link to the previous post: "Photo A Day - Cute"
My kiddie cousin in Guwahati, India, when she was just about 4 years old. 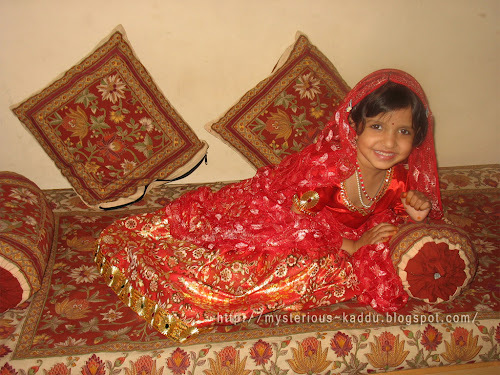 So anyway, Radhika (that's my cousins name) proved to be a very well-tempered model for a 4-year-old. She posed in whatever way I told her to, understood my instructions, was creative enough to add the right expressions on her own, and, in short, totally enjoyed the experience for about 30 odd pictures, until finally, she said she'd had enough! This is my 20th post for 2013 June Photo A Day Challenge. 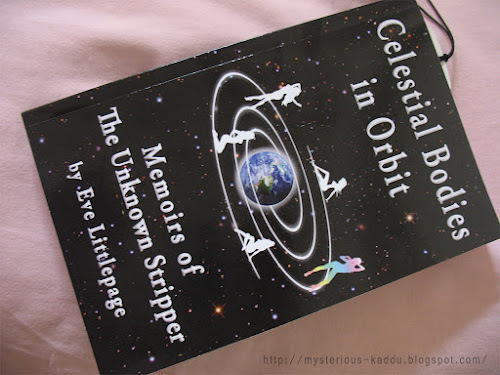 Link to the previous post: "Photo A Day - Currently Reading"
Celestial Bodies In Orbit by Eve Littlepage. I received a review copy of this book via the firstreads program of goodreads.com. Loving it so far, though the progress has been slow on it. Life has been hectic for the last couple of months. Will definitely take a break from daily blogging next month. Hopefully, July 2013 will see more of book reviews and recipes here, than photographs. This is my 19th post for 2013 June Photo A Day Challenge. 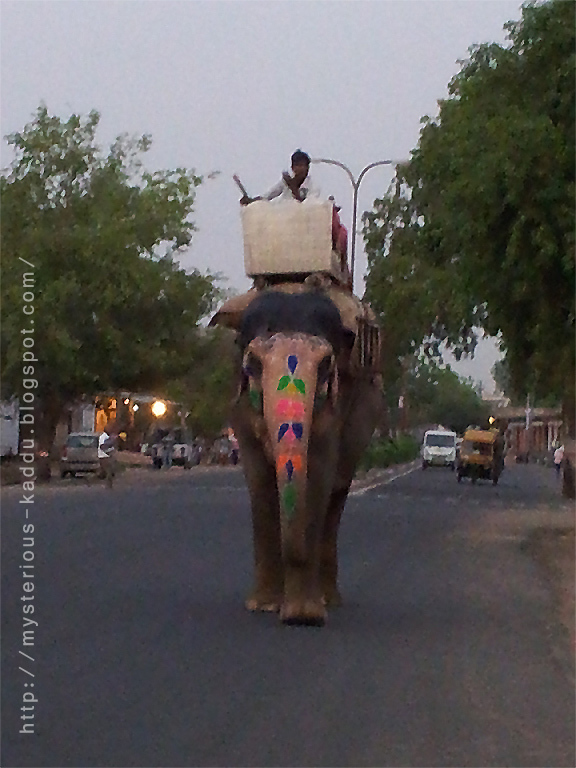 Link to the previous post: "Photo A Day - Street"
Elephant rides, on the streets of Vaishali Nagar, Jaipur, India. I find it really amusing that they paint these animals in so many bright colors before taking them out on the streets for rides. Anyway, elephants are my all-time favorite animal. And this scene reminded me of the time they introduced those cute baby elephants in Farmville. We were all so crazy about them! My sister named mine "Killu". Don't ask me why though... I have no idea how her brain works! This is my 18th post for 2013 June Photo A Day Challenge. Link to the previous post: "Photo A Day - Centered"
I was going to post some other picture today, but then I saw this one. Nothing screams "center of attraction" like a woman dressed in hot red... or a single bright red flower amidst all the greenery! Hence, the last minute change. This is my 17th post for 2013 June Photo A Day Challenge. Link to the previous post: "Photo A Day - Family"
Lord Shiva is in the center, represented by the Shiva linga. Directly behind the Shiva linga is the idol of Mother Parvati, placed between their two sons - Ganesha (elephant-headed Lord of Beginnings) and Kartikeya (6-headed Lord of War). Lord Shiva's mount, Nandi the bull, is seated on the left of the picture. This family was established in our building in July last year. That's when the above picture was taken by Dad. This is my 16th post for 2013 June Photo A Day Challenge. 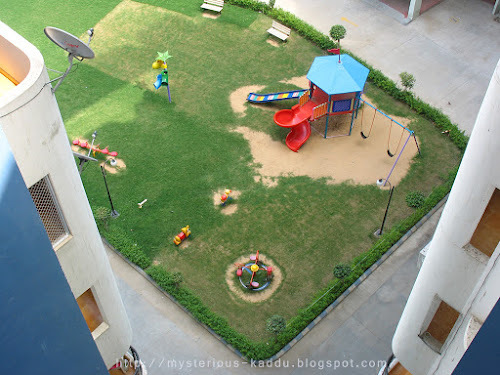 Link to the previous post: "Photo A Day - From Above"
The empty playground of my building... from the 7th floor. This is my 15th post for 2013 June Photo A Day Challenge. 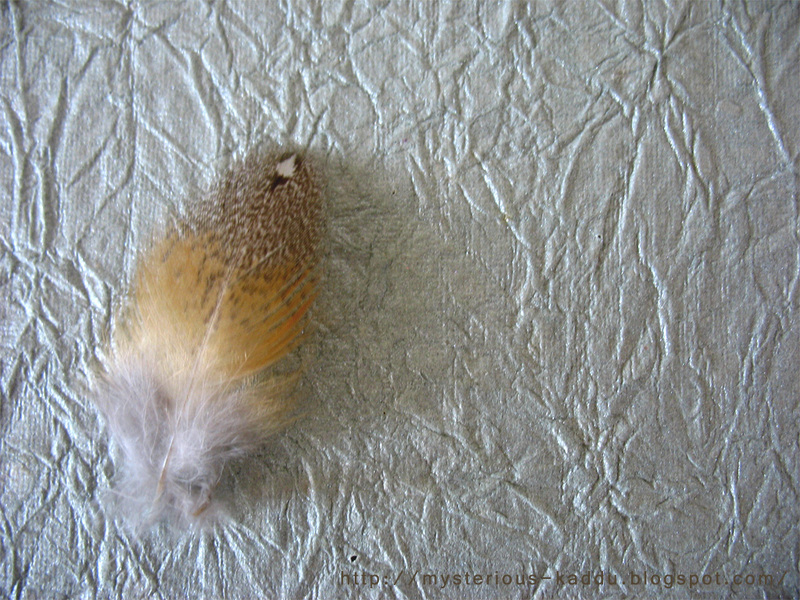 Link to the previous post: "Photo A Day - Texture"
That's a pigeon feather I picked up from somewhere, placed on a sheet of silver-colored handmade paper. 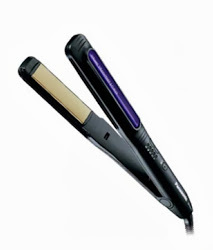 Two very different items, with two very distinct textures. This is my 14th post for 2013 June Photo A Day Challenge. Link to the previous post: "Photo A Day - Kitchen"
The very first photograph of Dad that I took with my digital camera! I was going to take a new pic today, but then I remembered some other "kitchen" pics I had in my archives - my nephew Yuvraj in the kitchen at his old home, me in the kitchen at his old home, my sister in the kitchen at her old place in Delhi, my mom in the kitchen at our childhood home in Kanpur, and the one I've posted above, of Dad in the kitchen at our place in Patna. 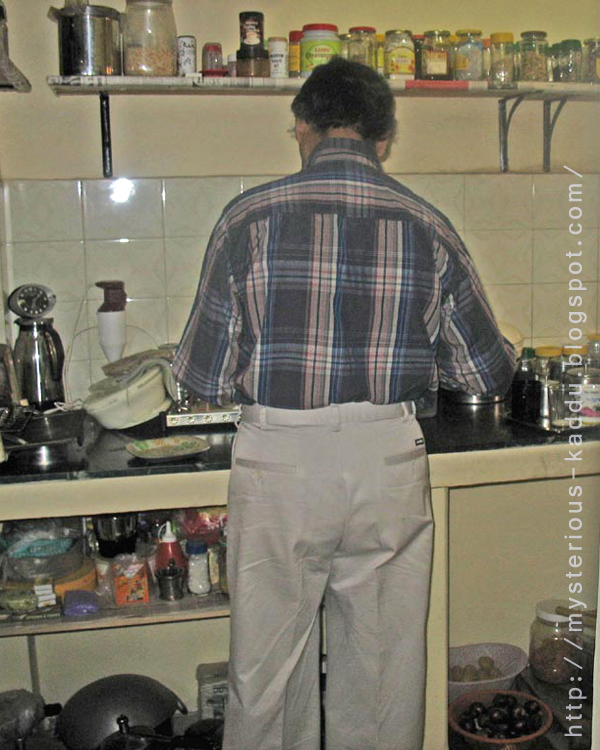 While going through all these old pics, I suddenly realized that the one of Dad in the kitchen was the first picture I took from my digicam at home. It was taken at about a quarter past 7 in the morning, on 28th November, 2005. I'd got my camera just a few days before. Dad was busy making preparations for our customary "morning ritual" when I took the above picture. Considering all the "memories" attached with this pic, I decided to post this one today, instead of a new pic. This is my 13th post for 2013 June Photo A Day Challenge. Link to the previous post: "Photo A Day - 11 O'Clock"
I was going to have a very very VERY busy day today. So the morning went by in a blur. You can even make out the "blur" in the photograph! Was getting the lunch ready in advance. You can see me (not really, not even my hand!) 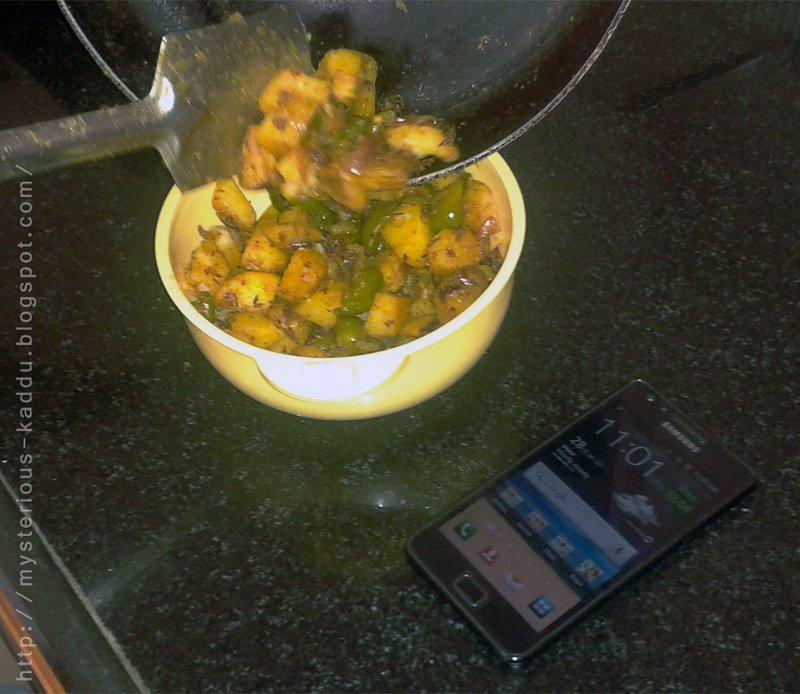 taking the potato-capsicum dish out in a micro-proof bowl at 1 minute past 11 today. It was ready by sharp 11 actually, but at that precise moment, my camera battery died on me, and I realized that I'd forgotten to charge the other set of batteries! So this pic had to be taken by Dad's cell phone camera! These photo challenges are turning us all into maniacs! 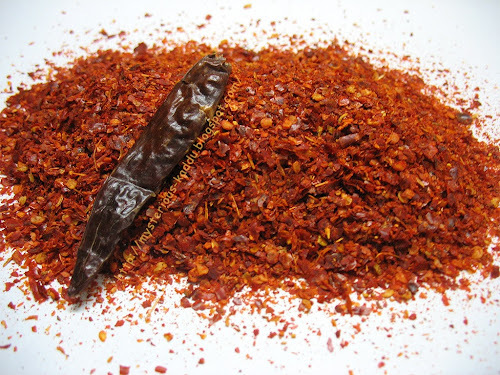 Anyway, if you're interested, you can also check out my other pictures/posts in food. This is my 12th post for 2013 June Photo A Day Challenge. Link to the previous post: "Photo A Day - Something Funny"
I thought and thought and thought real hard... and still nothing came to my mind, for "funny", except the photographs of Yuvraj! Sure there are funny sign-boards, funny Indian English, truck slogans, but if I have to pick a photograph taken by me (or one of my family members), I will automatically start looking through UV's folder in my hard drive. March 2012 photo challenge also had the same prompt, for which I posted this. And for today, I found this photograph of our "Junior Janitor"! That, I'm sure, is the story of every 1-year-old, at least in India. Pull out the broom from wherever you've tried to hide it, and start sweeping the floor. Or pick up his/her napkin and start wiping the table. Napkin not available? No problem. Your freshly laundered t-shirt will do just fine. And God save you if you try taking the janitor's "tools" away from him/her. Don't you see that hard set mouth and those arched eyebrows? 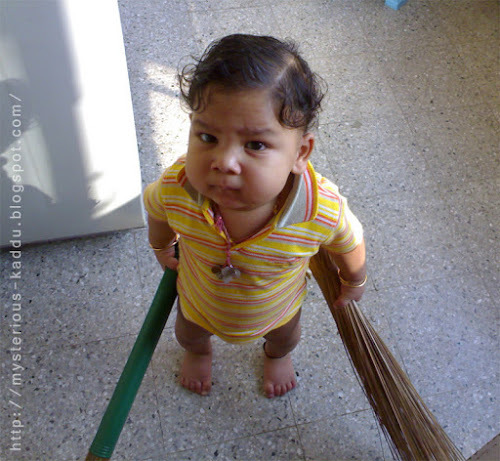 This "junior janitor" is definitely not pleased at the interruption in his work! This is my 11th post for 2013 June Photo A Day Challenge. 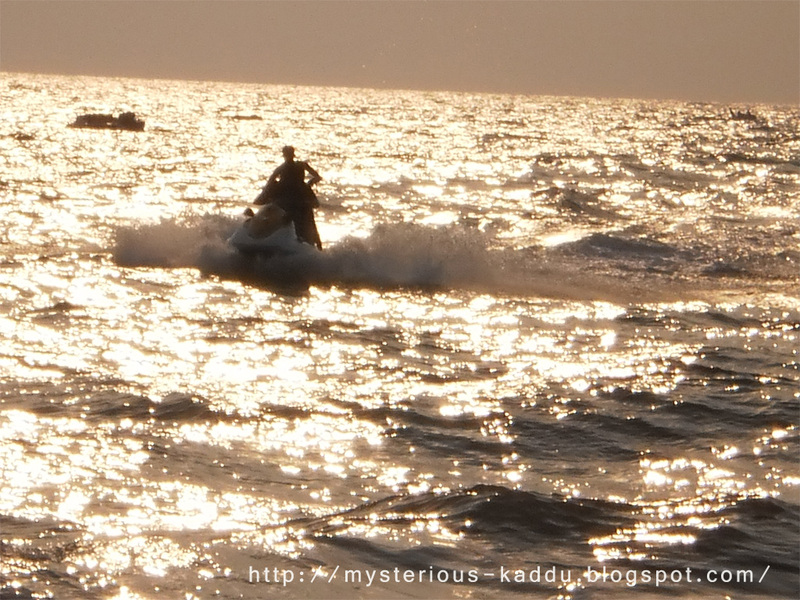 Link to the previous post: "Photo A Day - You!" 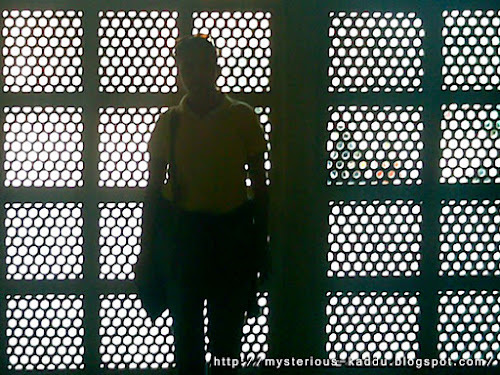 My Shadow Self: Photo A Day - You!